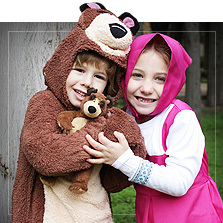 The smallest members of the house won't be able to resist these cartoon character costumes... and adults won't either! 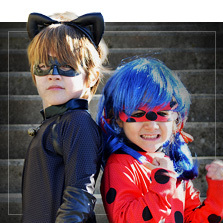 You have the greatest cartoon costume catalogue before you that's based on kids' and adults' favourite animated series and movies. 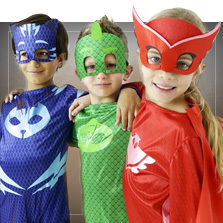 Our costumes for kids include the brave Paw Patrol puppies, PJ Masks costumes so that your little ones can turn into their favourite superheroes in pajamas, or Ladybug and Cat Noir costumes, the most popular superheroes in Paris... But if if your little one isn't a fan of superheroes, some of the cartoon costumes that you will find in this section are Masha and the Bear, Spongebob Squarepants, Dora the Explorer, fun Minion costumes for kids and adults, Vampirina's suit or even some of the dresses from Monster High. But, who said that these costumes are only for kids? 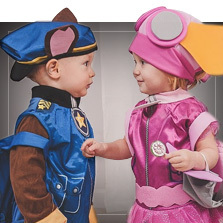 We also have classic cartoon costumes for adults such as The Flintstones, Dragon Ball, Popeye, Scooby Doo, Sailor Moon, The Smurfs... Don't let nostalgia get you down, put on one of these cartoon costumes and we can all be kids again!